At 7pm on Friday 5th April we're getting creative on The Rooftop with the local legends from Giniversity! Executive Chef, Dino Protopapas, will guide you through this fun & playful 3 course dinner, where the aim of the game is for you to tailor the dishes to excite your taste buds! 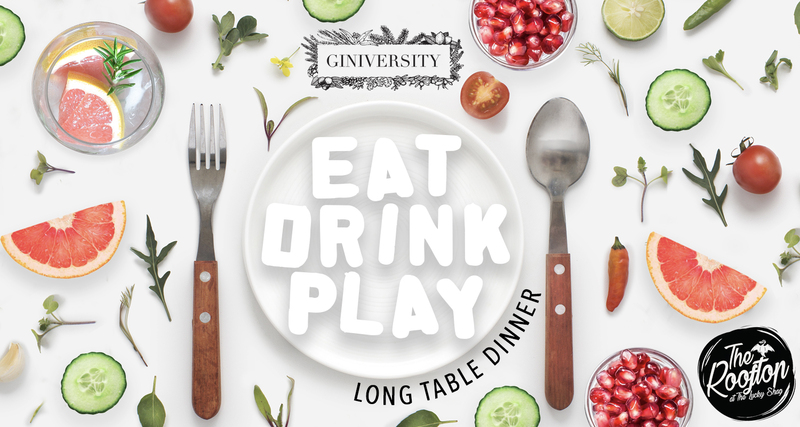 Each course will be accompanied by 3 Giniversity cocktails which you also get to create! Join our not to be missed Eat, Drink, Play Long Table Dinner on Friday 5th April from 7pm.